Hours before his death American writer Edgar Allan Poe was found on the streets of Baltimore. He was incoherent, wearing another man's clothes, and unable to explain how he got there. The cause of his death is an unsolved mystery. 2. On the 26th December 1900, a small ship was making its way to the uninhabited Eilean Mor island near Scotland. The island only had three lighthouse keepers. When the boat reached there, the crew found that all three lighthouse keepers had vanished. The logs found to reference a brutal storm that lasted days, even though a neighboring island that had the view of the Lighthouse reported calm weather. 3. In 1957, a luxury airliner named PAA-944 mysteriously crashed in the Pacific while carrying multiple people with motive, means, and opportunity to cause the disaster. The actually specifics behind the crash have been unsolved for almost 60 years. 4. Since 2012, there has been a pickle jar that sits on the guardrail on the I-270 North in Des Peres, Missouri. Every time the jar falls, breaks, or disappears, it is always replaced, but who does it remains a mystery. 5. There is only one unsolved airline hijacking case in the history of the U.S. The hijacker (D.B. Cooper) parachuted out of the plane after receiving his demands, and was described as "thoughtful and polite" by his hostage. In 1970, a group of hikers outside of Bergen, Norway, suddenly came upon the charred, naked corpse of a woman in the middle of the Isdalen Valley. The woman was nicknamed the Isdal Woman and her story remains one of Norway’s deepest mysteries. 7. There is a mysterious expanding black goo called La Mancha Negra (the black stain) that covers parts of roads in Caracas, Venezuela. Millions of dollars have been spent researching it, yet the cause is still unknown. 1,800 people have died in auto accidents due to the goo. 8. It remains a scientific mystery how Baikal Seals originally came to Lake Baikal, hundreds of kilometers from any ocean. Estimated to have inhabited Lake Baikal for some two million years, the Baikal Seal is the only true freshwater seal on Earth. 9. A man with amputated legs was found on a beach in Sandy Cove, Nova Scotia on September 8, 1863. “Jerome” was then cared by the local residents where he remained silent for years until his death. Despite many theories, his identity, origin, and how he got there remains a mystery. 10. There is a waterfall where nobody knows where the water goes. Minnesota’s Devil’s Kettle Falls dumps into a giant hole with no visible exit. Researchers have poured dye, ping-pong balls, even logs into it, then watched the lake for any sign of them. So far, none have ever been found. 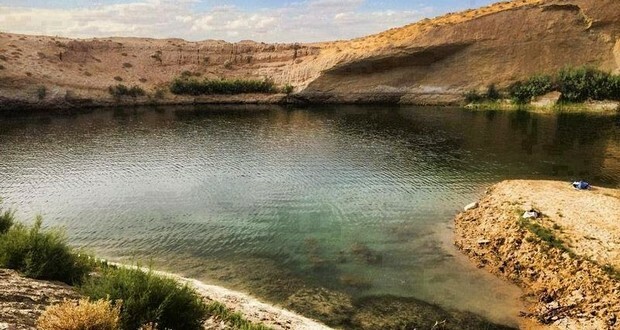 A mysteriously lake appeared out of nowhere in the middle of the Tunisian desert in 2014. The lake was named Gafsa lake by the local shepherds who found it. Local scientists believe it is radioactive and formed most likely due to seismic activity. 12. In Santa Fe, New Mexico a nameless stranger came out of nowhere and built a mysterious spiral staircase in the Loretto Chapel out of foreign wood and primitive tools. The finished staircase seem to defy physics it lacks the newel or central pole usually used to support and stabilize a spiral staircase. It is thought by the nuns of that church that the carpenter was Saint Joseph. 13. In 1485, a mysterious disease named English sweating sickness broke out causing people to sweat to death in a matter of hours. The disease claimed the lives of tens of thousands before mysteriously vanishing. 14. There is a mysterious sound in the town of Tao in New Mexico called the "Taos Hum". Only 2% of the population can hear it, and no one knows where the sound comes from. 15. A diamond studded golden owl was buried somewhere in France in 1993. There is a book of riddles leading to its location, but it still hasn't been found. There is a 1,000,000 franc prize for the person who finds it. 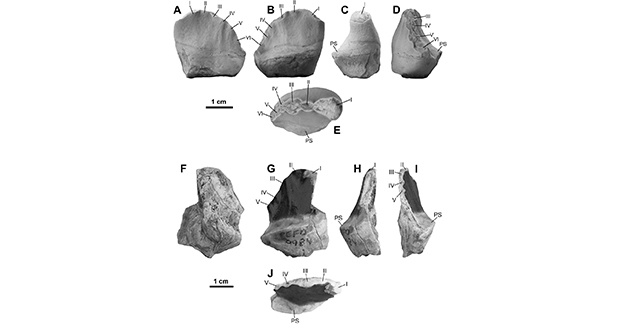 There is a mysterious fossil animal found in the Petrified Forest National Park in Arizona that has been named Kraterokheirodon. It is known only from a single tooth so strange that it is impossible to classify what kind of animal it came from. 17. Spring-Heeled Jack is a mysterious boogeyman that was said to ring residents of Londons’ doorbells dressed as a bear, a ghost or a devil and scratch them with metal claws before leaping away with unnatural agility. Sightings of him stretched from 1837 to 1904. 19. In 1942, residents of Pascagoula, Mississippi lived in fear of the "phantom barber": a criminal who would sneak into homes at night only to steal locks of hair from his victims. Though an arrest was made, many believe it to be a setup, and the identity of the phantom barber remains a mystery. 20. There is a woman named Shanyna Isom living with a 'mystery illness' which causes her to grow fingernails in place of hair. Costa Rica has numerous ancient stone spheres that were created in the era of the Diquis indigenous culture that flourished from 700 AD to 1530 AD. The stones are distinctive for their perfection, their number, size and density, and their placement in their original locations. Their meaning, use and means of production largely remain a mystery. 22. The Oak Island Money Pit is a mysterious pit on an island in Nova Scotia. Many people think the pit holds buried treasure. The pit has been baffling treasure hunters for over 200 years. There are booby traps, secret tunnels and clues around the island. No one knows what it's hiding, who built it, or when. The excavation started in 1795 but to this day what is at the bottom of the hole remains a mystery. 23. A mysterious sickness known as the "National Hotel disease" affected as many as 400 people and nearly three dozen died who stayed at the National Hotel in Washington D.C. in 1857. 24. There is an abandoned building in Cleveland (formerly a plumbing supply store) that is inexplicably home to dozens of rubber ducks. Their origin remains a mystery. 25. Tiles with the mysterious message “TOYNBEE IDEA IN KUbricK’s 2001 RESURRECT DEAD ON PLANET JUPiTER.” has been popping all over the US ever since the 80s, and no one really knows who did it. 18 was solved…it was the photographers wife. Partially exposed film.